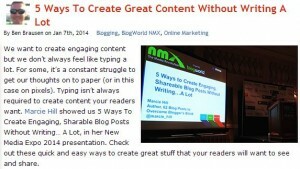 If you have a blog, this is 5 ways you can keep update. Easily. You are here: Home / blog / Marketing / If you have a blog, this is 5 ways you can keep updated. Easily.